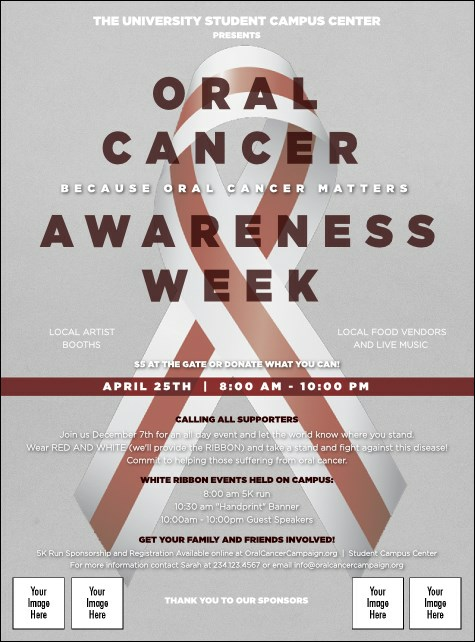 Choose a simple and effective design for your benefit or awareness event with the Oral Cancer Flyer. A large white ribbon with a striking red stripe stands out on a grey background. Upload four of your own pictures to the template so you can feature special guests, doctors, or sponsors.